How does it select its objects of study and its methods of inquiry? How does it formulate and solve theoretical problems? 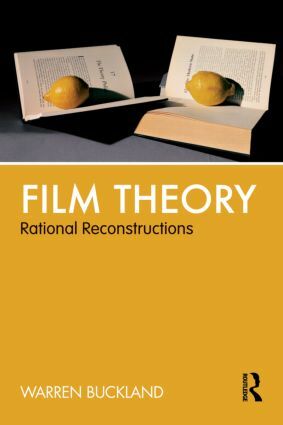 He asks these questions of film theory through a rational reconstruction and a classical commentary. Both frameworks clarify and reformulate vague and inexact expressions, redefine obscure concepts, and examine the underlying logic of film theory arguments. This not only subjects film theory to rigorous examination; it also teaches students how to write theory, by enabling them to question and critically interrogate the logic of previous film theory arguments. The book consists of nine chapters that closely examine a series of canonical film books and essays in great detail, by Peter Wollen, Laura Mulvey, Thomas Elsaesser, Stephen Heath, and Slavoj Žižek, among others.